Heather Paxson is interested in how people craft a sense of themselves as moral beings through everyday practices, especially those activities having to do with family and food. She is the author of two ethnographic monographs: Making Modern Mothers: Ethics and Family Planning in Urban Greece (University of California Press, 2004) and The Life of Cheese: Crafting Food and Value in America (University of California Press, 2013). She subsequently served as Area Editor for The Oxford Companion to Cheese, a 2017 James Beard Award winner. At MIT, Heather teaches courses on food, material culture, gender and family, and ethnographic research, and she supervises students in the doctoral program in History; Anthropology; Science, Technology and Society. 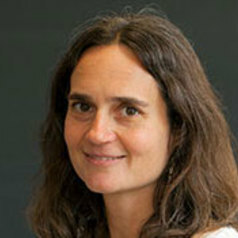 Heather Paxson received a Ph.D. in Anthropology from Stanford University and a B.A. from Haverford College.